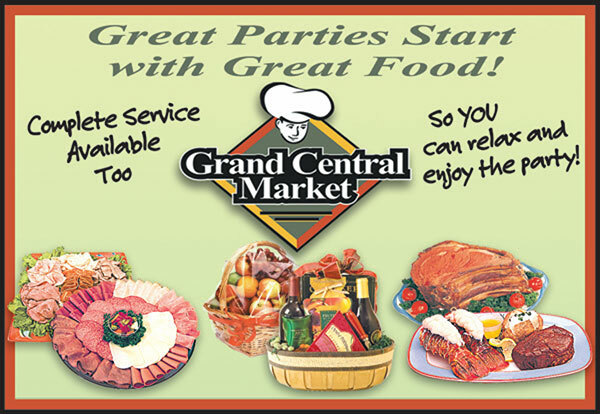 Long-time Mahopac residents Ralph Hurd and Lou Ciucci opened Grand Central Market in 1991. They offer the finest in Boars Head Cold Cuts, Soups, a variety of specialty pizzas and homemade salads. Grand Central is open 7 days a week serving breakfast, lunch and dinners. You can enjoy your meal on their outdoor patio, take it on the 'go' or choose to have delivery to your home or office. There is a full catering menu specializing in any occasion where you don’t want to cook. Grand Central offers full service events including BBQs, Weddings, Company Picnics, Family Reunions and many local school events. They can provide you with cooks, bartenders, and waitresses to make your event a relaxing enjoyable day.